The 2017 Toyota Camry continues to rack up numerous prestigious awards, including a 2017 Top Safety Pick+ recognition from the IIHS. It’s also been on the receiving end of countless rave reviews, with Kelley Blue Book in particular praising its “reliability, safety, efficiency and easy driving manners.” As the second trim in the lineup, the 2017 Toyota Camry SE brings to the mix performance features like a sport-tuned suspension and paddle shifters, which offer Palm Coast drivers full control of their driving experience. 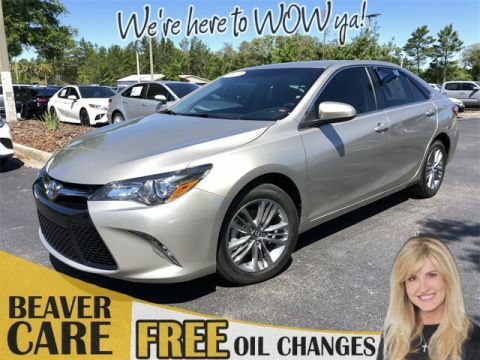 Come check out the Camry SE, along with the rest of the Toyota sedan lineup, at Beaver Toyota in St. Augustine. Contact us today to schedule your test drive! The 2017 Toyota Camry, available in a wide variety of trim levels, finds no difficulty in beating out popular competitors like the Honda Accord by offering the more advanced Entune™ infotainment system, in addition to emergency telematics. 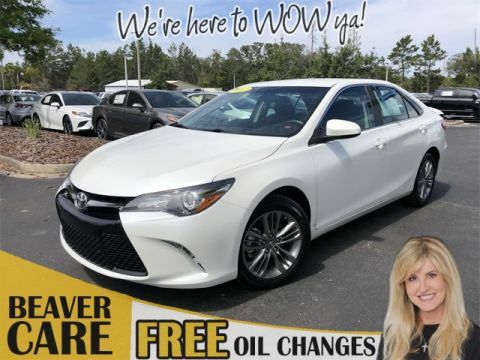 Opt for the Toyota Camry SE in particular, and Jacksonville drivers can enjoy SofTex® leatherette upholstery and 17-inch alloy wheels for a look that’s sure to turn heads, both inside and out! When you’re ready to find out more, visit our dealership, where you’ll find quick and easy financing on the 2017 Camry SE.